In this on-demand webinar, provided in partnership with our accredited industry partner APMG and led by our Learning Consultant John Moore, you will learn all about why Praxis can help you and your organisation realise the intended benefits of projects, programmes and portfolios. The Praxis Framework™ is a combination of four types of best practice guidance: Knowledge, Method, Competency and is the first free framework to integrate projects, programmes and portfolios in a single guide. It is the most integrated framework in the market. 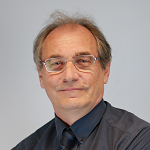 John has over 40 years of experience in designing and delivering IT solutions. Leveraging his industry and programme management experience, he is in an ideal position to compare and contrast the portfolio, programme and project methods and approaches that have been adopted and which are best fit for organisations in this fast paced ever changing digital world.